In the morning when you get up, make the sign of the holy cross and say: In the name of the Father and of the Son and of the Holy Spirit. Amen. Pastor Walters and I both grew up watching Kirby Puckett make the sign of the cross before he went to bat. We both grew up in the same town, went to the same Lutheran schools (a year apart), and studied from the same catechism with the same teachers. But we didn’t read these words in those catechisms, because our catechisms didn’t have these words. 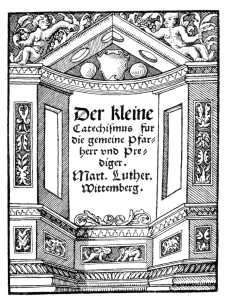 Luther’s original Small Catechism of 1529 did. The Small Catechism included in the 1580 Book of Concord did. The version of the Dresden Catechism, published in 1881 by Northwestern Publishing House, had these words. But sometime before the WELS’ Gausewitz Catechism was revised and published in 1956, someone made the decision that it would be better to remove these instructional words from this book of instruction. (Someone who has access to a copy of the original 1917 Gausewitz catechism will have to confirm whether the change was made in the 1917 or 1956 version.) When the synod again revised the language of the Catechism in the early 80s and again in the 90s (to reflect language in the new hymnal), they continued to leave these words for those who read the Small Catechism in German, in the Book of Concord, or in a catechism published by another Lutheran body. I can probably guess why they did it. It probably had something to do with the fact that this practice had become exclusively associated with Roman Catholicism. Of course, it’s not as though they had removed a major doctrinal point from the Catechism. It’s a pious practice which had probably become neglected and even associated with superstition and the false teaching and practice of the Roman church. Oh, it looks like Grandpa learned that from his catechism, too. Whether or not someone actually makes the sign of the cross is not a big deal. The point is that these are some important words. They direct us to our baptism and the core of our Christian faith at the beginning and end of every day. I wish they had been left alone. I wish I had learned them earlier. I am glad to see that our new hymnal supplement quotes these words in a footnote to Luther’s prayers in a few of the devotions. I’m glad to see that some attention has been given to them in various articles and blog posts, such as the one mentioned above and those below. And I hope that someday Luther’s instructional words will be re-inserted back into a future edition of a synodical catechism. Below is an excerpt from an article from the March 2010 issue of Worship the Lord newsletter, entitled Accuracy: Urban Legends in our Churches by Pastor Jon Buchholz, President of the Arizona-California District of the WELS. Myth: Making the sign of the cross is a Catholic superstition. Reality: The sign of the cross is a way for Christians to remember their baptism. The sign of the cross itself, the proper way to hold one’s hand when making it, whether to go from right to left or left to right, and all the different times to make it are subjects for deeper exploration elsewhere. (Luther’s morning and evening prayers in the Small Catechism include an enjoinder to bless oneself with the holy cross. In corporate worship, appropriate times to make the sign of the cross include at the invocation, the Incarnatus (in the Nicene Creed, when we say, “And became fully human”), after receiving the Sacrament of the Altar, and at the benediction.) Suffice to say that making the sign of the cross is an ancient practice that serves a very simple purpose: It is a memory device to help Christians find comfort and strength in their baptism. Did you think about your baptism today? Would it be helpful if you had a simple tool to help you recall each day that your old self was drowned and put to death in the waters of Baptism and that now you have been resurrected as a new creation, clothed with Christ, forgiven, and given a new identity as a child of God? Recalling our baptism gives us strength in the face of temptation, comfort in affliction, and joy in all of God’s promises sealed to us in his covenant of grace. When you were baptized, the pastor said, “Receive the sign of the holy cross, both upon the head and upon the heart, to mark you as a redeemed child of Christ.” Then he baptized you into the name of the Triune God. The sign of the cross at the invocation can tangibly recall the name into which we were baptized and in which we worship. At the Incarnatus we remember Jesus, our brother, sharing our humanity to fulfill all righteousness. As the pastor dismisses us from the Lord’s Table, we remember that through Baptism are we worthy to receive the precious gifts of Jesus’ true body and blood. As we are dismissed with the blessing, we go in the power of Baptism, to bear Christ’s name in the world. Certainly the sign of the cross can become a superstitious device, like an amulet or a charm; anything good can be perverted. But the simple sign of the cross can be a powerful reminder of something that we want to remember often. Bless yourself with the holy cross, and as you do so, recall all the gifts of God’s grace! What concerns me more than whether someone makes the sign of the cross is the fact that anyone in the WELS had the audacity to actually change or eliminate words from one of our Confessional documents. If Melanchthon did not have the authority to alter the Augsburg Confession (a document he originally wrote), then how much less does the WELS have authority to alter any Lutheran Confession in any way? The fact that the WELS has altered, not only the Small Catechism, but even the Nicean Creed is evidence enough that liberals are successfully changing the WELS. If the WELS liberals could be so bold as to openly change a creed and a confession, then through the years what else have they succeeded in doing behind closed doors? I agree that it is not good to make such changes, but I’m not sure I would describe it as part of any kind of liberal movement within WELS. I’m not defending the decisions, nor am I saying that there couldn’t be a liberal movement. I would describe decisions like this as poor pastoral and catechetical decisions. 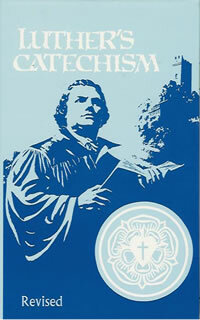 The Catechism is both a confession and a teaching tool. Our pastors and congregations subscribe to the Small Catechism as it is contained in the 1580 Book of Concord, not according to any particular translation or edition of the Catechism. The 1580 Book of Concord has not changed. So we have always subscribed to these words, but we didn’t always do a good job of teaching them. But that could be said for a lot more of the Catechism and the Confessions than just these words. Any synod will change more by the presence or absence of sound teaching than by any deliberate plot to change its stance. I am an orthodox Anglican and was conducting a study on the historical practice of the sign of the cross and its meaning. I wanted to see if this practice was faithfully retained in the WELS like it is in the LCMS being that you are confessional Lutherans and adhere to the doctrines and teachings of the Book of Concord. Martin Luther rightly understood its meaning and what it signifies. I am an apologist for its practice in the Church and in the prayers of the faithful; so I wrote an essay on the significance of the sign of the cross and expounded on its meaning. If you are interested, please do not hesitate to reply; I will gladly email you my document. I would be interested in seeing a copy of the essay. Thanks! 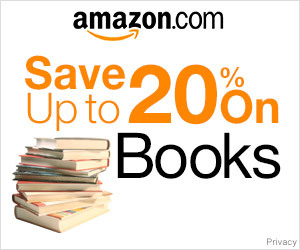 You can send it to caauwejw[at]mac[dot]com. This was how we did things when I was cmfeirond, actually, though it was because I was cmfeirond in the Roman Catholic church, where a bishop has to administer the sacrament. I was from a large diocese, but we were a small congregation (though I suppose small is relative, because there were about 100 in my confirmation program), so a bishop only came every other year.It worked out fine, though there was nothing for us to go to after confirmation, so I can’t say it helped on that front. My congregation didn’t do youth ministry, which is really sad.In my current congregation (ELCA), we have so few kids that we actually moved two sixth graders up in to confirmation this year (though only one of them has made it to the first two classes) so that we would have more than two kids in confirmation. Now we have one second year and two first year. I wish we had more kids so we could do more activities, but we at least manage to have some good discussions (which didn’t work in my Sunday school class with just two last year).I think sometimes you kind of have to abandon preconcieved ideas about age grouping. We started using the all-ages option in Spark’s rotation model this year because we have about 10 kids total in that age group (PK-5), an the age distribution is really weird. It’s working really well according the the feedback I’ve gotten so far, and that teacher is able to plan more activities this year than she could last year, when she had about 3-5 in a class that was PK-2.